Wild 'n Fruity Tiny Gummy Bears from Albanese, the classic candy chewies in fun, vibrant colors and made with real fruit juices. Tiny Tiny Tiny...Why not enjoy twelve flavors instead of one? 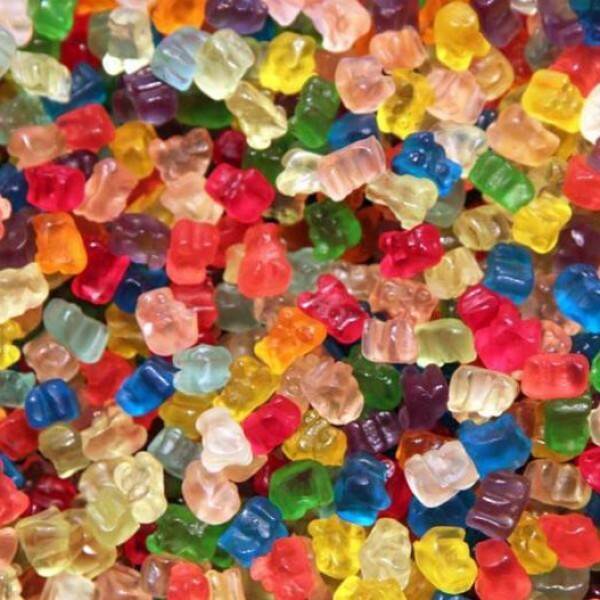 These gummi bears may be small, but that doesn't take away from their big taste. The flavors are: Wild Cherry, Pink Grape Fruit, Watermelon, Strawberry, Orange, Blue Raspberry, Lime, Green Apple, Mango, Pineapple, and Lemon. Sold in a 5lb. bag.